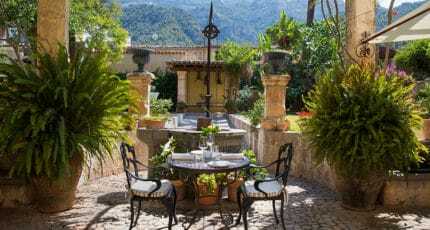 Mallorca offers a wealth of special and hidden places that are often insider secrets. 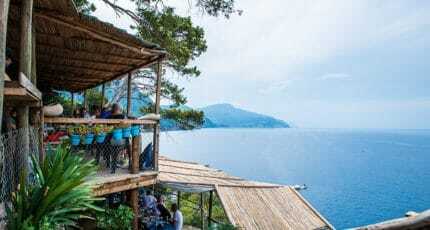 Here we reveal some of our favourite hideaway restaurants around the island. Sometimes, particularly in the cooler months, only a hearty slow-cooked meat dish will hit the spot. But how do you choose from the many traditional Mallorcan restaurants known for their lamb and suckling pig? 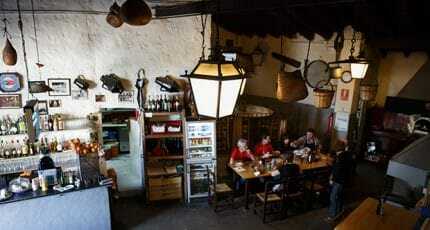 The rustic Es Verger, between Alaró village and the mountain-top castle, is famously known as ‘the lamb restaurant’ for its succulent slow-roasted and beer-basted lamb. For suckling pig that is so tender the waiter brings it to the table and cuts it using the side of a plate, head to Bar/Restaurante Orient, in the hamlet of Orient. Looking for something unique and off the beaten track? The cliffside Sa Foradada is at the end of a beaten track (about a 35-minute walk down – and a longer one back up – from the Son Marroig car park, near Deià) and is certainly unique. You can’t drive down, so if you don’t want to walk, come by boat. 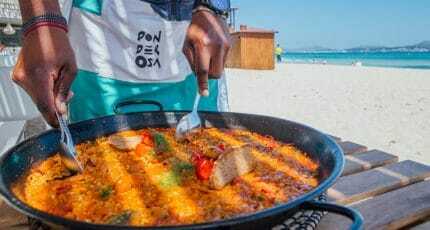 This open-sided family-run place has been open since 1972 and is famous for its scrumptious paellas, cooked over a wood fire. 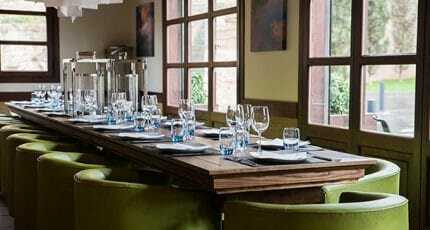 Coming for lunch at Sa Foradada isn’t just a meal, it’s a memorable experience. 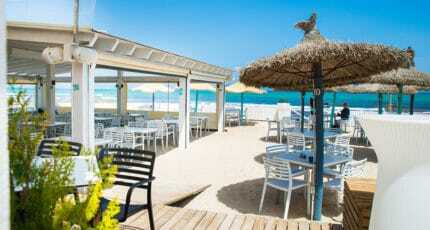 In the north of the island, if you can’t get a table at the popular Ponderosa Beach, try Can Gavella, nearby. Further along Platja de Muro, Royal Beach isn’t visible from the main road, but has a discreet entrance in a side street and great beach frontage. 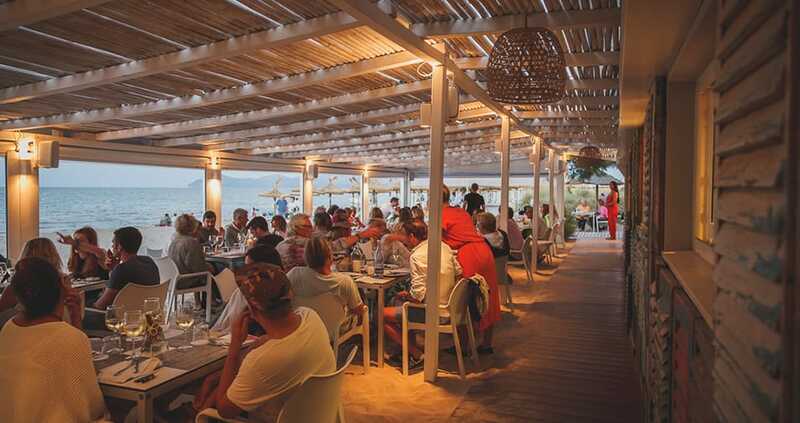 For a tasty fish dinner while enjoying one of the loveliest sunsets on Mallorca, it’s hard to beat the long-established family-run Restaurante Playa in Colonia Sant Pere, watching the sun slip behind the Tramuntana mountains across the Bay of Alcúdia. Across the bay, the virgin beach of Son Serra de Marina has the laidback El Sol bar and restaurant – a great place to go for a meal or drink, watch the kite-surfers in action, and enjoy live music on Friday evenings. 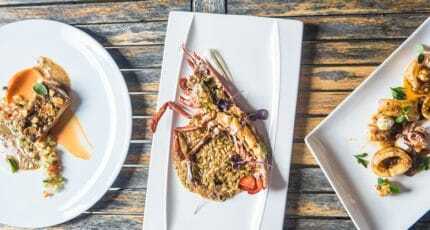 It may look an unlikely place to eat grilled fresh seafood, but the wooden hut on the remote beach of Cala Torta, near Artà, is renowned for its fresh fish and shellfish dishes, cooked in the simplest way. 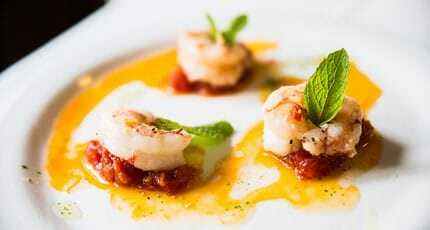 A platter of prawns or mixed seafood is a summer treat. Between Porto Colom and Cala d’Or, Cala Sa Nau, near S’Horta, has a great beach bar/lounge, with DJ and delicious cocktails too. 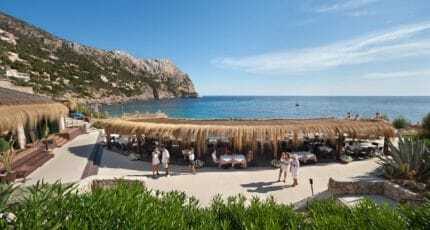 On the south coast, the pretty white-sand beach Es Dolç, near Colònia de Sant Jordi and the famous Es Trenc, is home to El Dolç ‘chiringuito’, which has been nationally certified for its sustainable environmental practices, including the use of local organic products in its food. 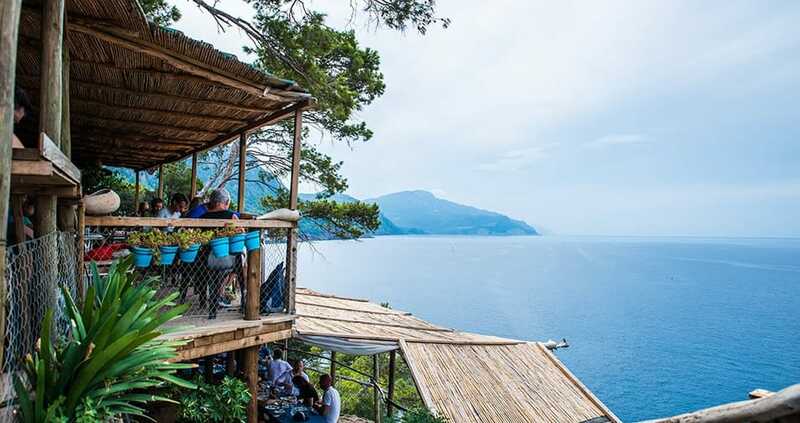 In the southwest, two places have taken traditional ‘chiringuito’ to a higher level: the Gran Folies Beach Club at Cala Llamp is a restaurant/bar that has a private feel because it’s visible only from the sea. If you’ve taken the old wooden train to Sóller and are a vegetarian or vegan, head for Café Scholl for lunch. With its chandeliers, gilt-framed mirrors, and art nouveau chairs, it has more than a hint of Viennese café atmosphere. It also has a peaceful plant-filled patio, as a sanctuary from the bustle of the town. For high-quality authentic Spanish food and wine, Casa Alvaro is owned by its chef and is worth seeking out in a small street just off Sóller’s main square; there’s a small terrace for outdoor eating. 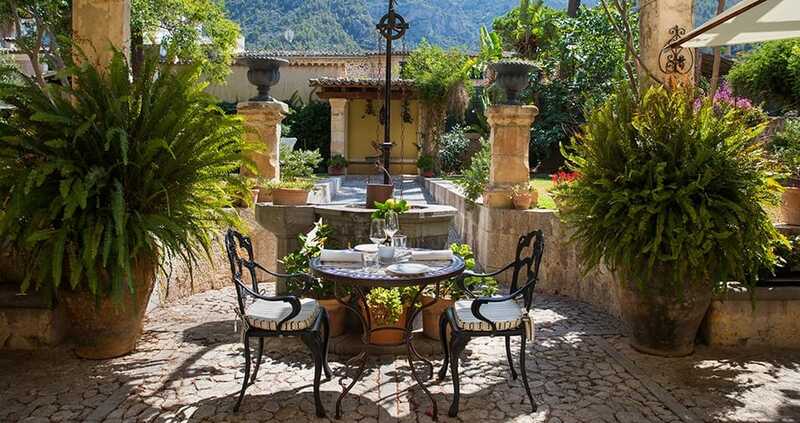 Elsewhere in Sóller, Hotel Salvia offers lunch and dinner in a beautiful tucked-away hotel with a terrace overlooking the garden. You need to book a table in advance by email as places are limited here. 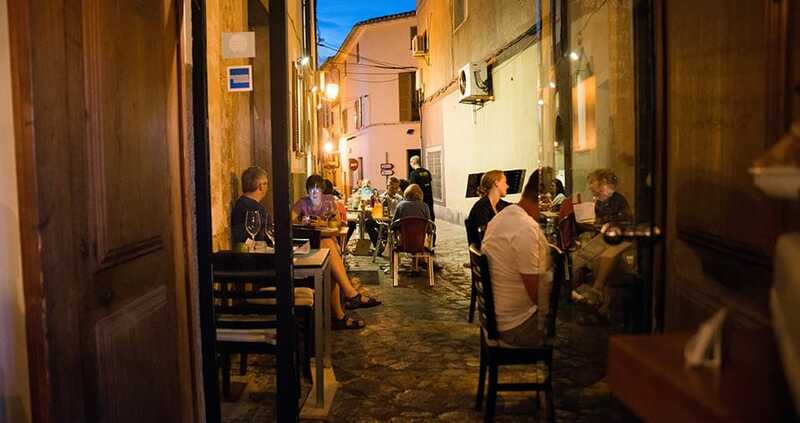 Manacor is home to the excellent Can March family restaurant which is located in a side street off the road to Felanitx, rather than in the town centre. 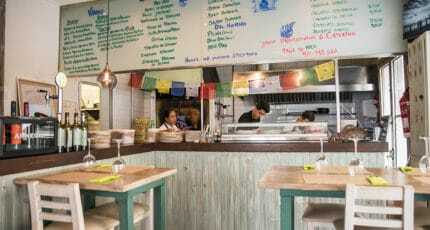 Its location may not be the best but, once you’re inside, it’s all about the warm hospitality and good cuisine. 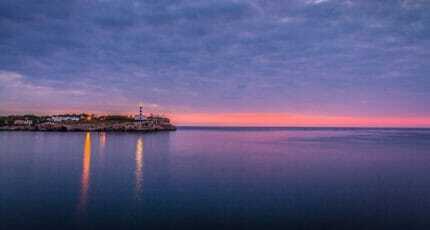 Mallorca’s capital also has its hidden gems – for those who are prepared to leave the usual tourist routes and explore the narrow streets of the old town. Toque de Queda is a tucked-away place that’s worth searching for – a former bakery-turned-tapas bar/deli, run by an Italian couple, and offering amazing-value champagne and cava by the glass. 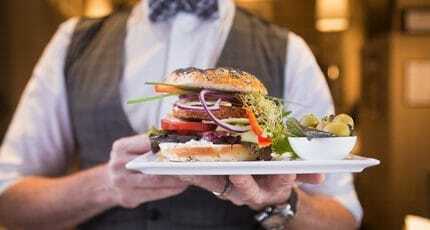 Bagel is easier to find; this small classy café bakes its own New York-style bagels on the premises, and serves them with tasty vegan fillings for a satisfying lunch. They also serve good Illy coffee. 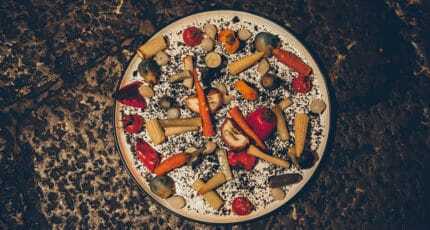 They swapped Cape Town for Palma, and their small coastal hotel for a city bagel bakery/café, offering home-made 100% vegan food. The old area of Sa Gerreria has been undergoing something of a regeneration and is worth exploring to enjoy lunch or dinner at Bocalto, where the focus is using top-quality ingredients to prepare updated international cuisine with links to Mediterranean flavours. S’Angel is a little off the beaten track, near Es Baluard. The prices are keen and the place is popular with locals, rather than tourists. It’s under the same ownership as Celler Can Amer in Inca (and sister establishment S’Angel in there). 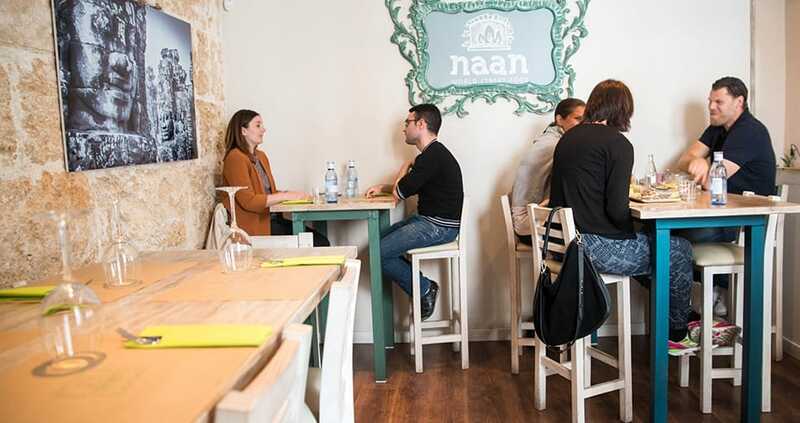 Street food fans should head to Naan World Street Food in Santa Catalina. Don’t be deceived by outside appearances: this great little restaurant serves delicious street food from a mix of culinary cultures. 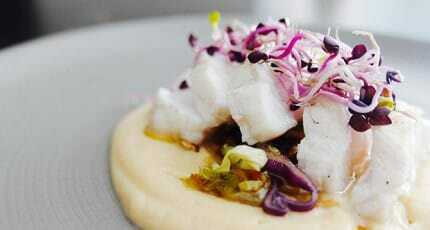 It’s very popular with Scandinavians – who are famed for enjoying good quality. Ziva to Go is perfect for those who like healthy food to eat in or take away. They have two Palma establishments: one in Santa Catalina (opposite the market) and another in C/ Protectora (with a lovely rear courtyard for al fresco eating); both serve brunch on the first Saturday of each month. 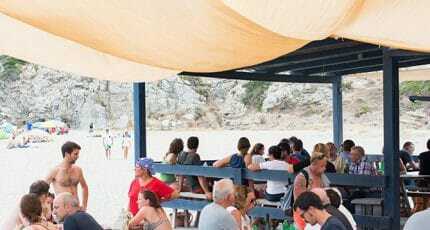 (A third Ziva to Go has opened on the Son Bugadelles trading estate in Santa Ponsa). Just outside Palma, and above Genova, a drive to the top of the mountain with a statue atop takes you to Kaskai (former Na Burguesa). The night views of Palma are spectacular. 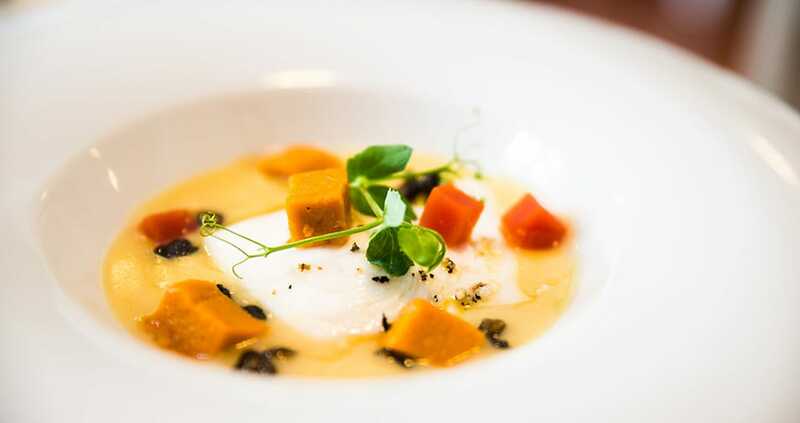 Eating out is one of our favourite pastimes – as well as our work! 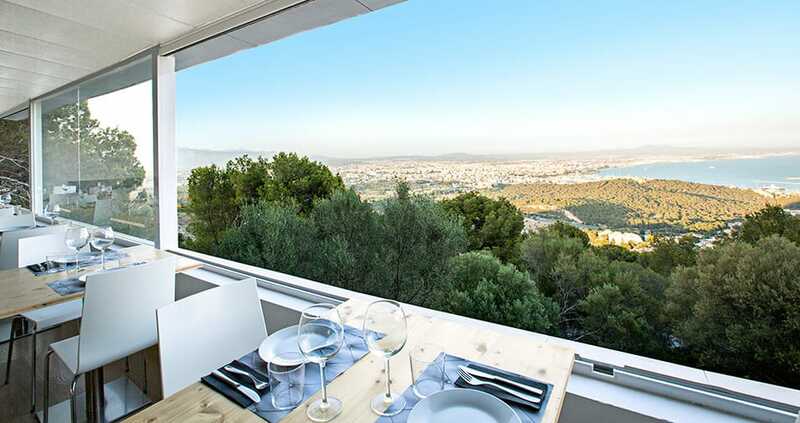 We hope you have found this article about the Best ‘hideaway’ restaurants on Mallorca useful and that you have many memorable stays in Mallorca as a result of our recommendations.